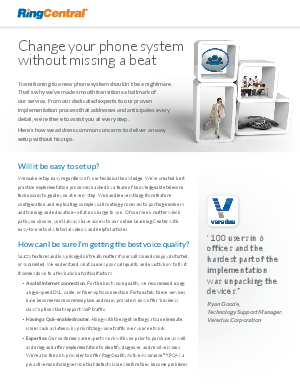 Transitioning to a new phone system shouldn’t be a nightmare. That’s why we’ve made smooth transitions a hallmark of our service. From our dedicated experts to our proven implementation process that addresses and anticipates every detail, we’re there to assist you at every step. Here’s how we address common concerns to deliver an easy setup without hiccups.